Discovery of innovative and disruptive concepts was on the minds of a selected contingent of IT executives, leaders and thinkers as we embarked on our journey to the Web Summit. 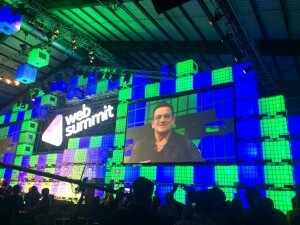 Held every autumn for the last four years, the Summit has exploded in scale to over 20 thousand attendees. 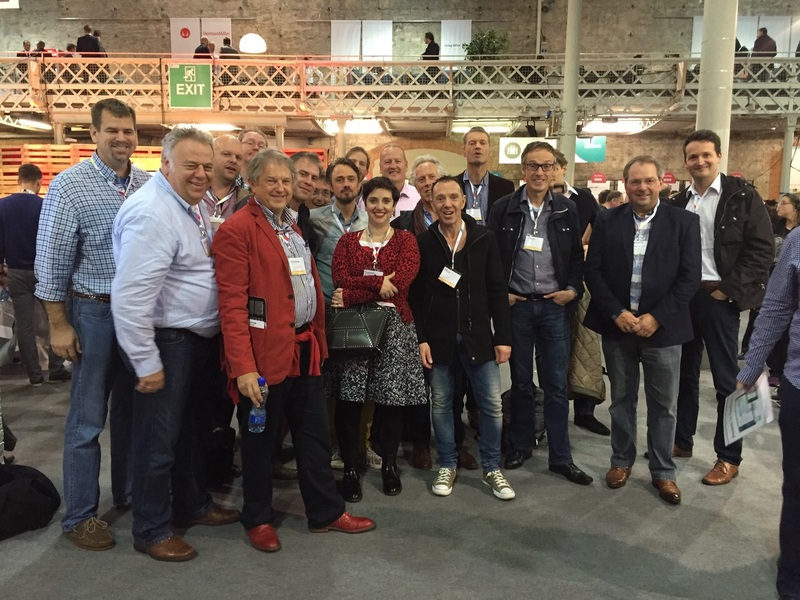 Our twenty IT execs were part of a selected to bring back the thoughts and opportunities to the Benelux. The composition of the team was varied, coming from business services, the government and education, however everyone was a specialist in their area of focus. And we were all on a mission. We all had our personal objectives. My mission? Discover new trends in Customer Experience technology. I also wanted to see if I could keep count how many people were wearing Google Glass. I’ve been to a lot of conferences all over the world, and this was the first time I was able to see the NASDAQ bell being rung on the main stage to open the market. Clearly the tech scene in Europe has the attention of the markets these days! 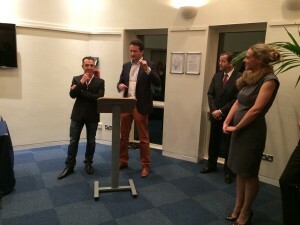 Cross boarder collaboration was a key theme of our schedule, as we were kindly hosted for cocktails at the Dutch Embassy. In the evenings, the Night Summit raged, and as with any conference it becomes a game to get onto the lists of the VIP parties. Via the Web Summit’s Enterprise X staff we were able to get most of the team onto the best lists, such as the Twitter party, and those who didn’t get on the list still got in due to our amazing negotiation abilities at the front door. For me, having worked for many years in Dublin, it was also an opportunity to visit some old friends and local places, such as Accents Lounge which is an evening coffee lounge right in the centre. What a wonderful place to rest a bit after a long day conferencing before a long night of summitting. We observed after some time that the start-ups seemed to be pitching to each other and walking away satisfied that someone actually showed some interest. There are thousands of start-ups on display and all the small stands had different companies presenting on each of the three days. You could literally spend the entire time walking from stand to stand and then do it all over the next day. The multiple presentations going on made it feel like visiting an amusement park, you really had to plan your schedule to have the most fun. In desperation, or brilliant creativity, the different teams seemed to be adapting. 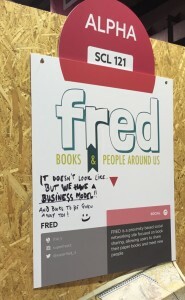 FRED books apparently wasn’t getting the interest they hoped for, so they took a black pen and wrote on their stand, “It doesn’t look like it… BUT WE HAVE A BUSINESS MODEL.” I’m curious how many deal memos they signed that day based on this marketing strategy. The toilets were also a source of humour. Posted above a jurinal was a letter explaining that a lady had a romantic experience at the last Summit, and was looking for the father of their child! On the bottom of the letter was the web address: www.who-knows-mark.com. Some of the start-ups were silly and fun in the most serious of ways. In particular in the domain of audience engagement, there were companies like Makelight Interactive which turns a crowd of smartphone screens into a huge virtual screen. FanFootage has fun collecting the videos of fans at events and allowing the brands to edit these together for videos with amazing perspectives that would not be achievable with traditional video crews. I’m still not sure if this is brilliant, or if will give me a headache, but Spritz is an overlay that throws up text one word at a time and they claim you can effectively speedread with excellent comprehension. Check out the video. Is this going to be the disruption of reading? We were still looking for the next big thing, and it seemed like a lot of the start-ups were trying to be the old big thing in a new way. Advance Point, while they may be doing something huge, make such a bold statement on the back of Google that eyebrows were certainly raised. Their claim: “Looking for the next google? The next gen strong AI platform? Integrate, data, sharing, simplicity. The dark internet can now be light.” Wow. 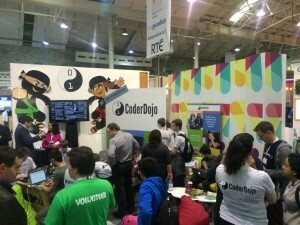 Perhaps the most silly, or most embarrassing, moment I experienced during the Web Summit was during some invite only ‘Enterprise’ round tables where a senior exec from one of the largest IT companies in the world took the opportunity to explain that CIO’s should consider getting involved in the digitisation of our businesses. Wow, talk about the wrong message to the wrong audience. On the flip side, some of these tech giants, such as Google and Microsoft, had stands in the conference halls for their venture capital teams. These guys were part of the game, and the old school tech sales guys just didn’t quite fit into the party. For the pure traditional tech people reading this, iQuate is a company I was introduced to which wasn’t even attending the conference this year. This shows how much activity is going on around the conference. iQuate is the next generation of IT asset inventory solutions. Speaking of next generation, it was odd that an innovating company like Masergy wouldn’t have been in attendance, considering what they are doing to the wide area networking space. Talk about an industry needing disrupting! 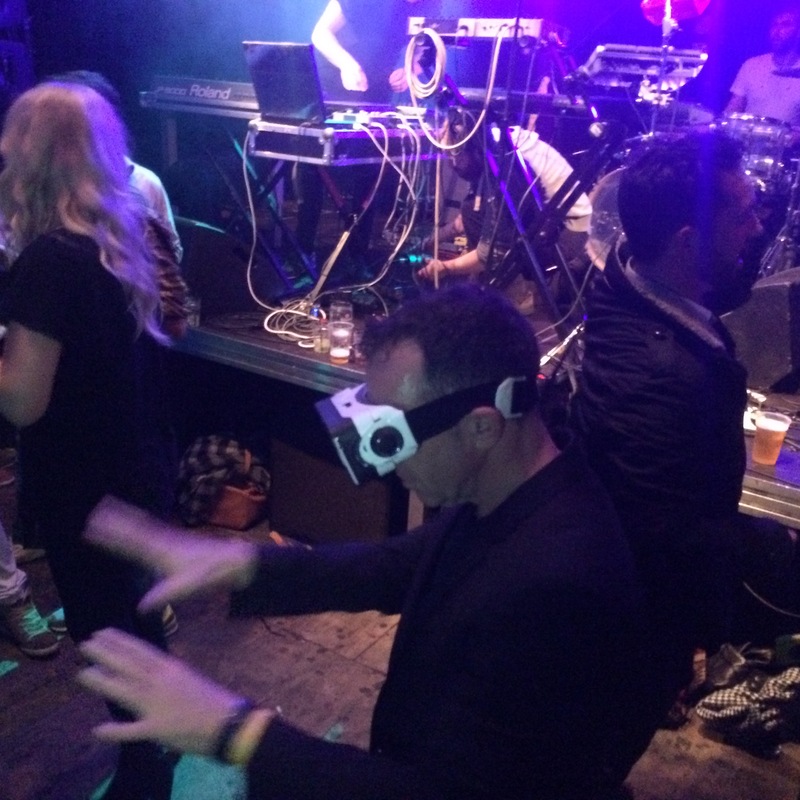 I still hadn’t seen anyone wearing Google Glass, although I had seen quite a few Oculus Rifts running (and dancing) around. 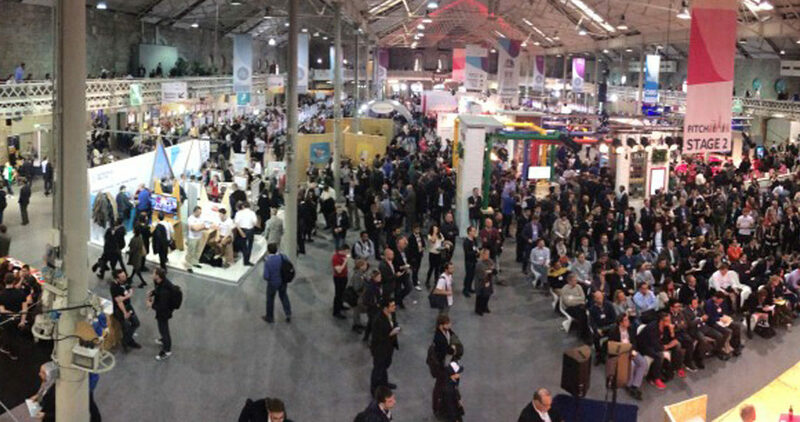 There was no way an innovation oriented gathering like this wouldn’t be swamped with IoT (Internet of Things). In addition to Cisco still trying to get back it’s mojo, there were some really cool solutions which pretty much were promised to be here ‘real soon’. Thingsee is a bridge solution for people to IoT enable their current home assets. Jumping light years ahead, Branto is bringing everything we love and need about home digital – from entertainment to security – into a small sphere that you can place anywhere in the room. Uber coolness. Branto was a favourite of Rob Kronenberg who works in the strategy group of Alliander. LogoGrab is an augmented reality solution which allows people to scan a graphic logo and interact with the company. 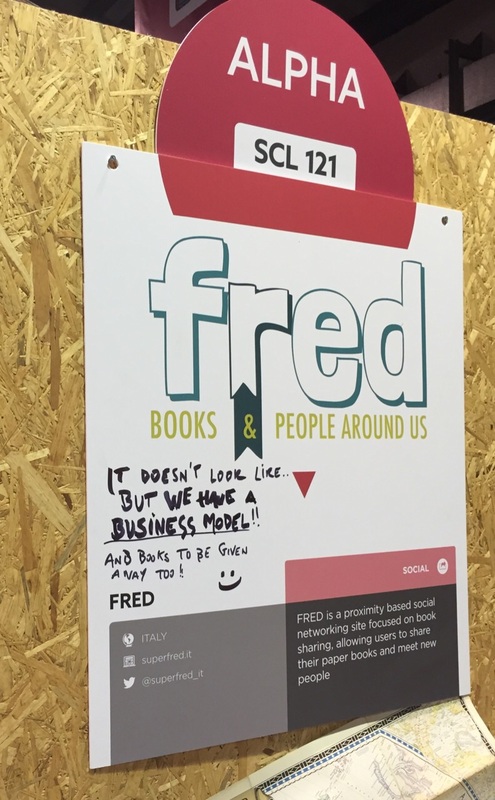 Paul Barreveld from Enterprise Ireland was really impressed with this team because they bring the offline and online together into a meaningful experience. Etienne Verbist from Crowdsourcing Week, was particularly impressed with Mcor Technologies, who make a very interesting paper based 3D printer which appears to be higher quality and less costly than the current traditional 3D printing solutions. From my background in automotive fleet services, it was nice to see some mobility solutions on offer. Getaround, which is a hugely popular car sharing company in the US was present, although sadly according to one of their founders they have no plans to expand to Europe. While they wait, other solutions such as SnappCar (which was also at the party) are building market share. Telematics in bringing analytics to the vehicle, and IVIPS from Belgium and Carlock from the US were presenting. The latter was called a ‘baby monitor for your car’, which is wonderful! Going back to some ‘older’ technologies, I had a great conversation with the Founder of Calcey Technologies, which has figured out a low cost way of using RFID to provide location based promotions and customer engagement activities. Simple in it’s approach, once you provide your customers with a tagged loyalty card then you know where they are in your store. Everyone from our team who met some of the youth attending and speaking at the Summit were, quite frankly, blown away. Myself included, as I was able to have a conversation with Lauren Boyle. According to her business card, she is the Founder of Cool Kids Studio. She happens to be ten years old, and before her recent birthday she won the ‘European Digital Girl of the Year’ award. If Lauren was the queen of pre-teen digital, then Eric Lassard is the king if pre-teen zen. He set-up the Abracadabra creative school, and is regularly on stage as a motivational speaker. 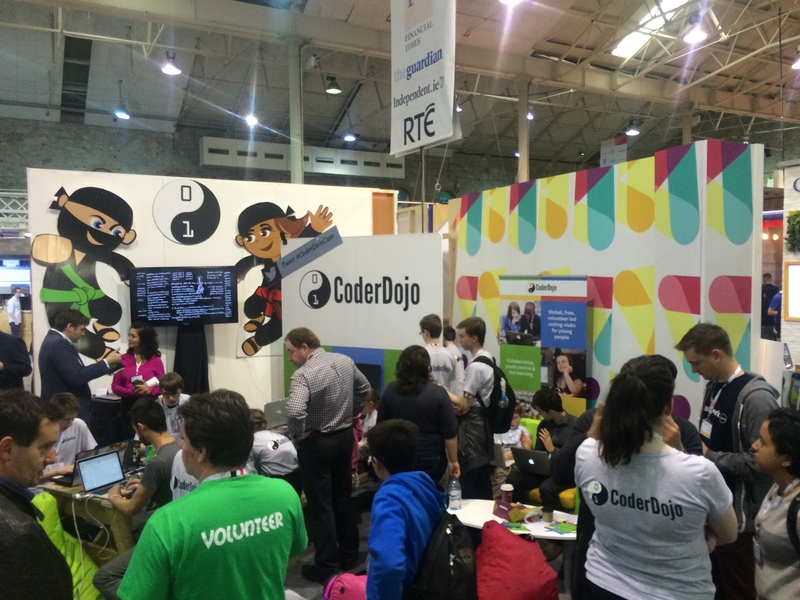 In addition to Abracadabra, there is the Coder Dojo schools around the world which provided her entrance into the digital world and others such as Code Club and Techspace had their teams of young entrepreneurs pitching to the globes top VC’s. 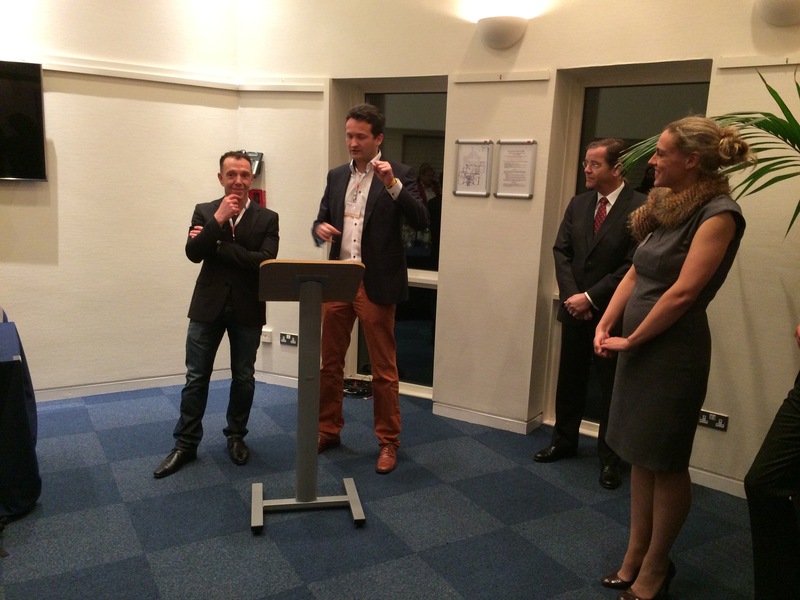 On Friday, after the closing Night Summit evening, we poured ourselves onto the plane heading back to Schiphol. Exhausted, but certainly inspired. In addition to the connections with some young – and some very young! 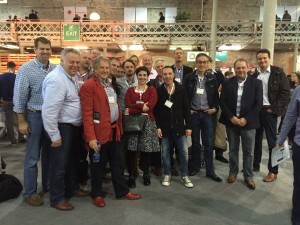 – entrepreneurs, we also had a chance to connect and reflect on all the impressions and experiences we had. Special thanks to Paul Barreveld from Enterprise Ireland, Mick Walvisch from Assemb3d and Jeroen Kleinhoven from CIONET for facilitating this amazing experience. A database of all the start-ups formally participating is available here. Chris Parker specialises transforming organisations to embrace Customer Experience disciplines with a passionate focus on the role of technology. He is a member of the Customer Experience Professionals Association and the Global CX Panel of expert speakers and works with various affiliated organisations to create value for your business.